"In my youth I witnessed and endured the demoralization of students to get a point across. Many of the riding Instructors in my past had a positive impact on me, but the few who sent me home crying have blessed me with the vision for my riding program. I wanted to create a place where students of all ages could gather and learn all that horses have to offer them without such restrictive boundaries and expectations. Being a mother of four beautiful daughters has only confirmed that this place,"The Barn", is the best place in the world to teach ourselves and our children compassion,responsibility, work ethic, loyalty and everything in between! I hope you enjoy our website and I hope you will come to the barn for a visit." Kate Etzel - Co-Owner, Marketing, Business Manger, Sales. Kate is your go to person for marketing ideas, fund raising, information about pricing. You can also go to Kate for IEA show information, registration and team building exercises. "Horses have such a special place in our lives. Having ridden as a young child and then picked riding back up as an adult, I marvel at how some of our younger riders seem to become one with their horse: Flying through the air as they jump." "I simply enjoy going to the various horse shows, cheering our team on and sometimes finding it hard to decide which to route for - my daughters or my own horse!" 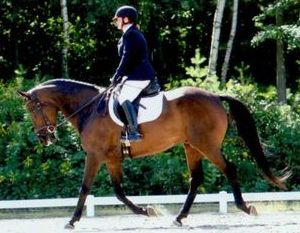 Infinity Equestrian was formally Laural Hill Stables. This new venture for us, with our business now at Fuller's Horse Facility, opens limitless possibilities for Laura, our kids, myself and our riders." " We hope to create a special place where people can come and spend the large parts of their day riding, being with friends, making new friends, all in a welcoming, harmonious environment where you are limited only by your own willingness to learn. Come and join us at Infinity Equestrian and let the journey begin!"